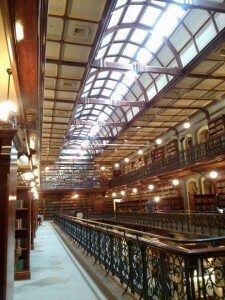 Look at all of the books, so many many books. Just a little note for some perspective during awards season. 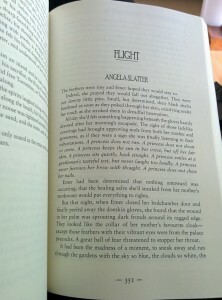 Aurealis Awards Shortlists are GO! February 27, 2015	| News	| Comments Off on Aurealis Awards Shortlists are GO! 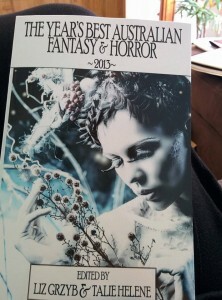 The shortlists for the Aurealis Awards are out and there are some wonderful works nominated. I’m truly grateful and humble to have six noms this year. Another beautiful volume in the Australian Best Of series from Ticonderoga Publications, edited by Liz Grzyb and Talie Helene. 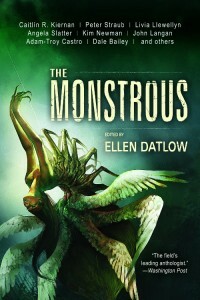 The new anthology from Ellen Datlow is The Monstrous, out from Tachyon Publications in October. 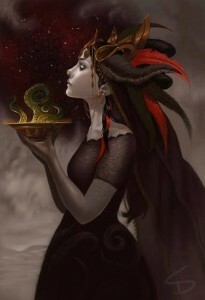 The cover by Reiko Murakami is amazing. 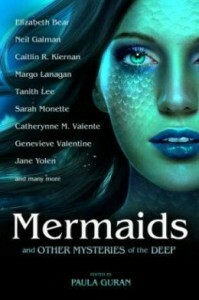 The lovely Paula Guran has another fantastic reprint anthology coming out in May, Mermaids and Other Mysteries of the Deep (published by Prime Books) and available for pre-order here. And the full ToC for She Walks in Shadows is below – excellent company I am in, yes.